Learn more about wildflowers – in the wild! Are you interested in learning more about our wonderful wildflowers through hands on activities with Society members? 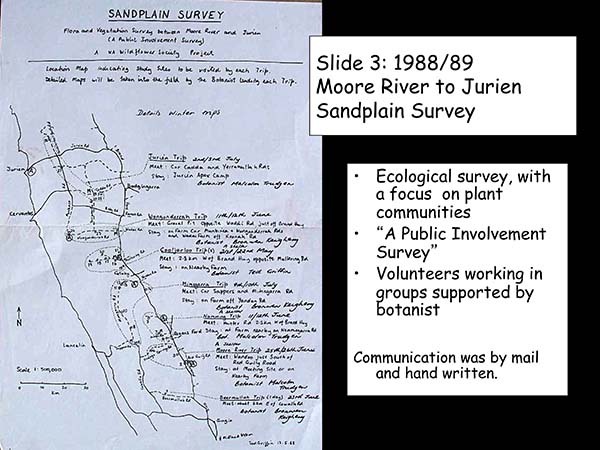 Since 1988 a citizen science Bushland Plant Survey Program has been organised to improve information on our fantastic yet poorly known flora. 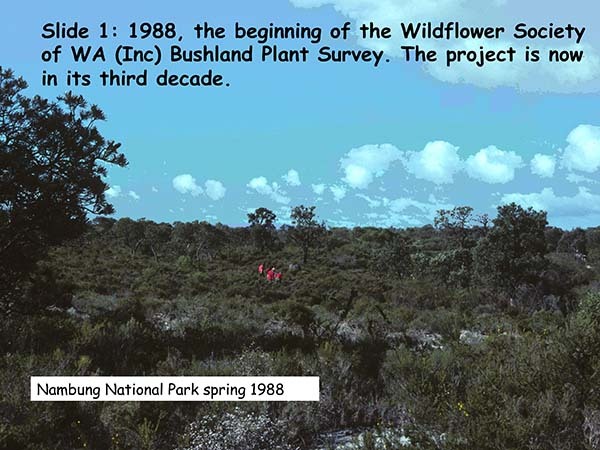 The program has run flora and vegetation survey in the state’s southwest for the last 25 years. 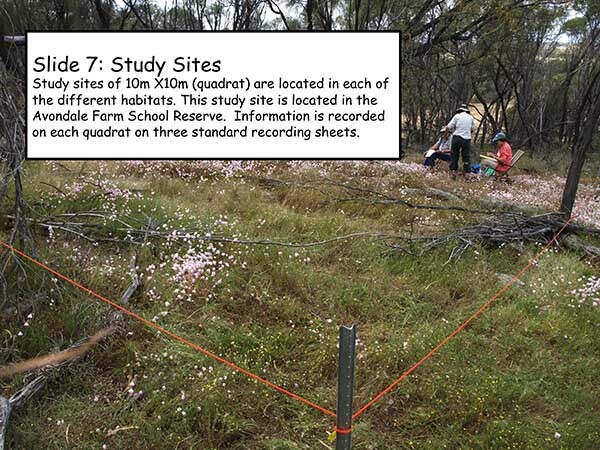 It has trained hundreds of individuals, community groups, and industry and government natural environment workers in flora and vegetation survey skills. 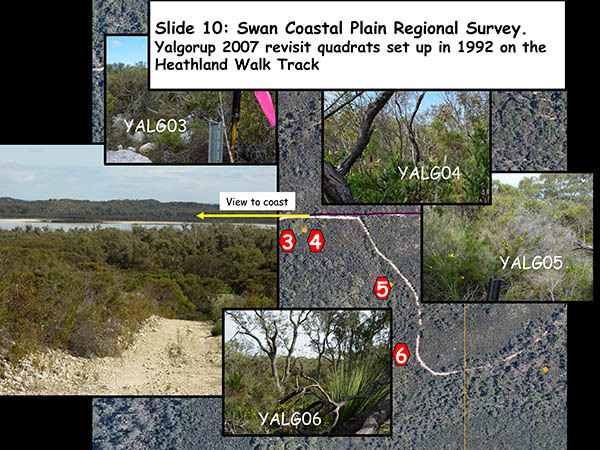 Surveys have been undertaken on government and private lands and more than 40 reports on the surveys have been published. 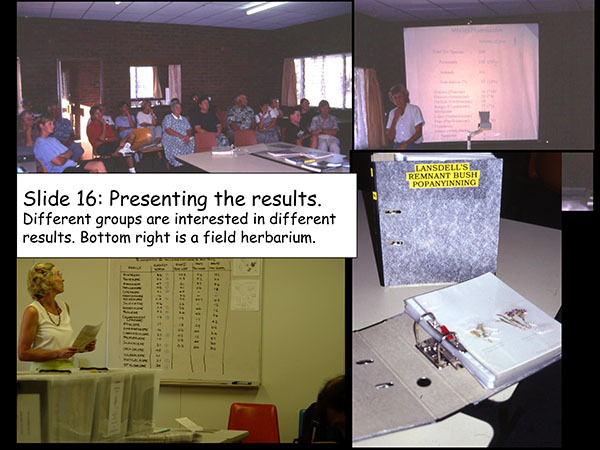 Each year the Wildflower Society runs spring field Plant Survey sessions in the Southwest followed by weekly meetings at the WA Herbarium to identify the plants collected. 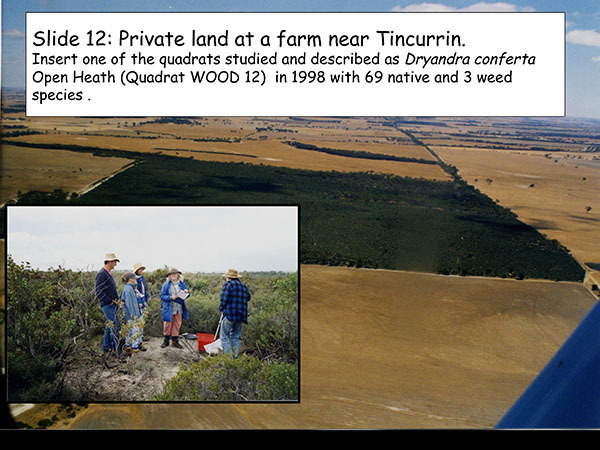 All participants in the program have gained a richer understanding of the values of the bushland. 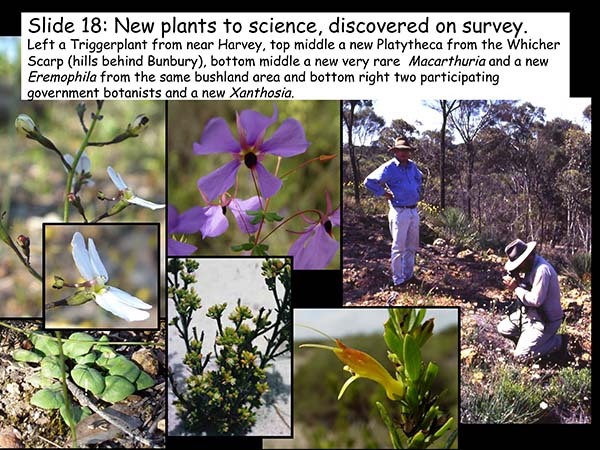 There is always a wonderful sense of surprise when people discover the wealth of plants in any piece of bushland – a recurring reaction from new volunteers, landholders and community participants alike. This is helped by the enthusiasm and passion of volunteers involved. The camaraderie of the group is a very significant part of the program. 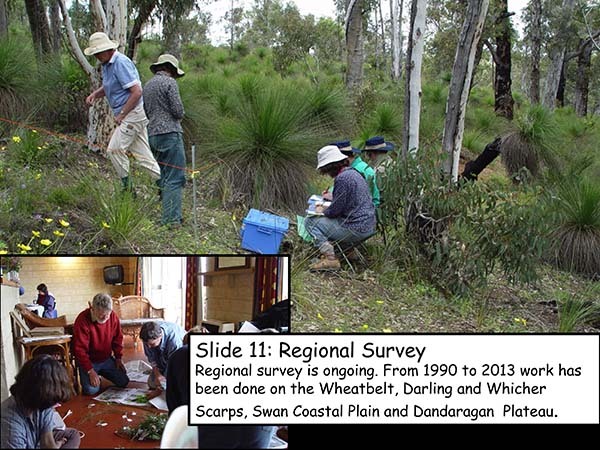 Volunteers, botanists, co-ordinators and landholders all enjoy the opportunities presented in the Survey to work in the beautiful wild places of the Southwest as part of a motivated and supportive group and so contribute positively to the conservation of Western Australia’s bushland. To join any of the sessions all you need is an interest in wildflowers. 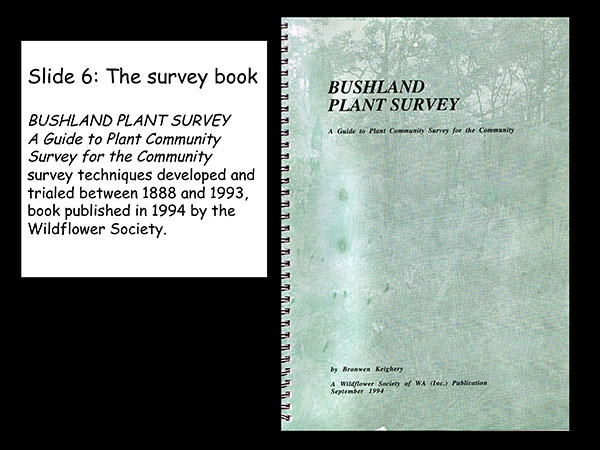 Our survey techniques were initially developed and trialed in the early years of the Survey and published in 1994 in the book Bushland Plant Survey – A Guide to Plant Community Survey for the Community. Hundreds of copies of the guide have been sold. 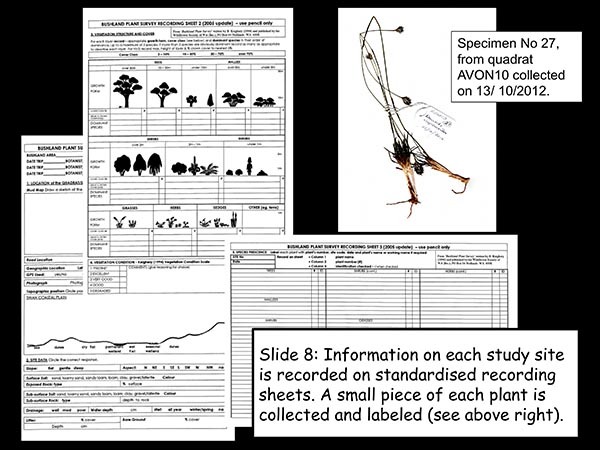 The guide outlines a structured field survey approach that does not require each participant to have a strong knowledge of botany. Workshops on the book for community and professionals are regularly run by the Society. 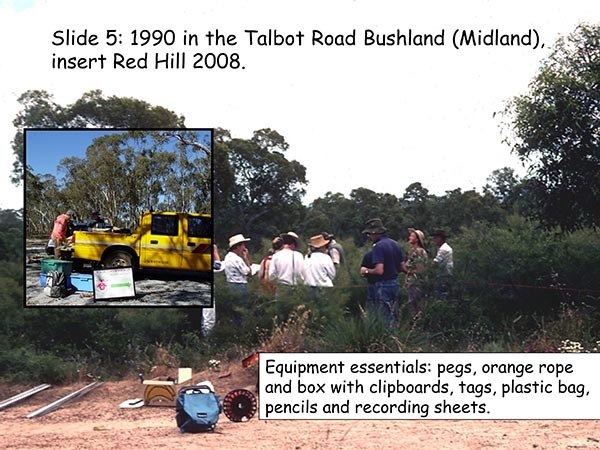 Delivery of training in bushland survey to: individuals; community groups; and industry and government. Provision of inexpensive manual and training in survey techniques. 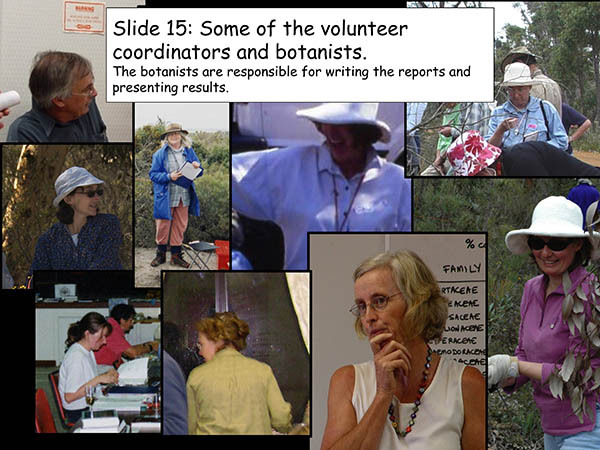 Provision of a platform for botanists to share their knowledge with the community. Cooperation between government and community through registration as a DPaW volunteer project. 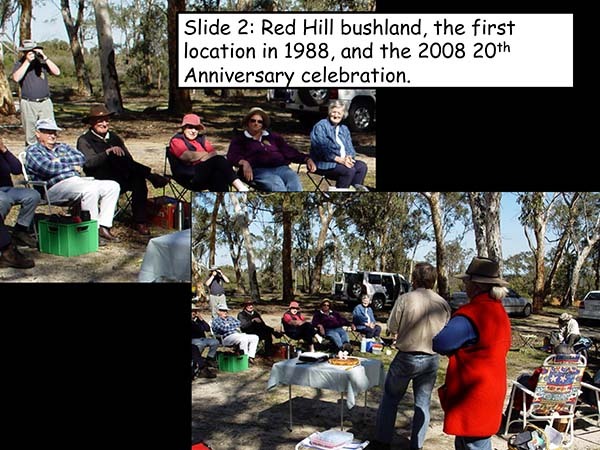 Raise community wonder, knowledge and appreciation of wildflowers in bushland. 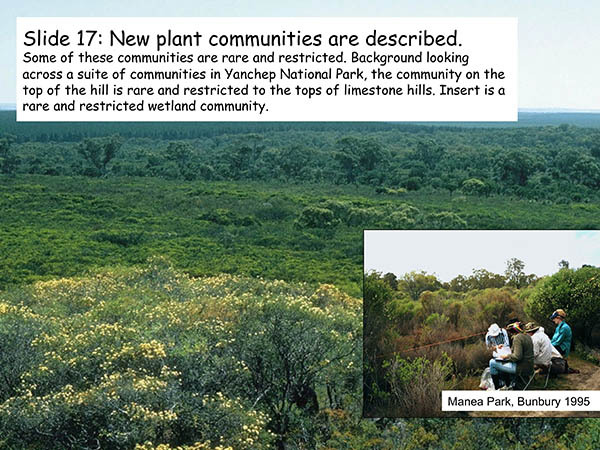 Provide information on the flora in bushland areas to aid retention, protection, and to inform management. 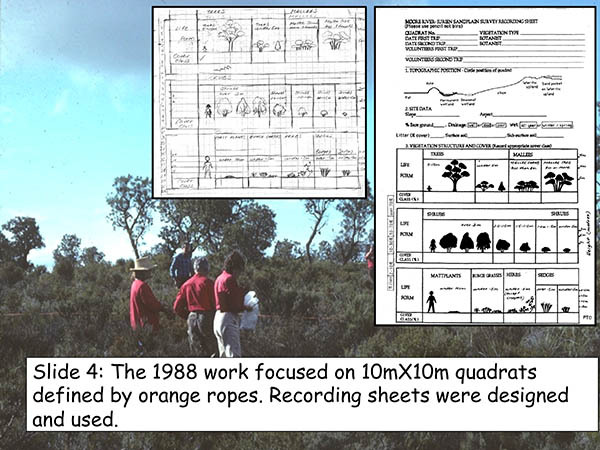 Provide formal training and field trials of standard survey procedure to the: community; and natural environment officers employed by local and state government, and industry. 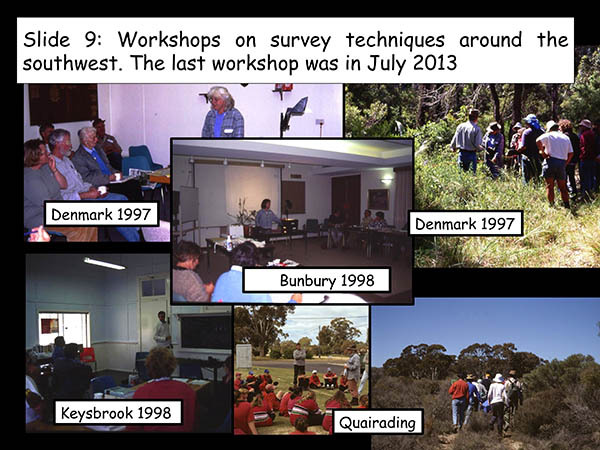 An introductory workshop on bushland plant survey techniques is conducted regularly for those new to the Bushland Plant Survey program and interested professionals. 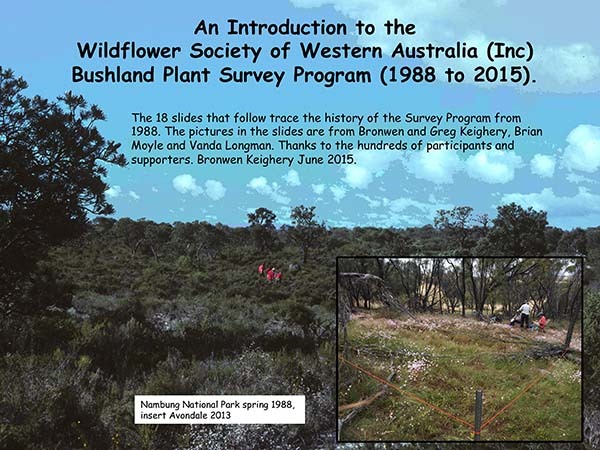 The workshop uses the Wildflower Society’s published guide Bushland Plant Survey: A Guide to Plant Community Survey for the Community. 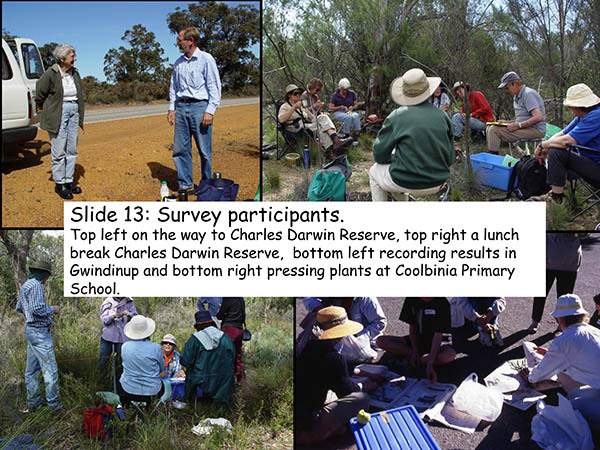 The money from these workshops is used to support the Society’s Bushland Survey program, cover cost of the manual and morning tea. Workshops can also be commissioned by contacting the Society.